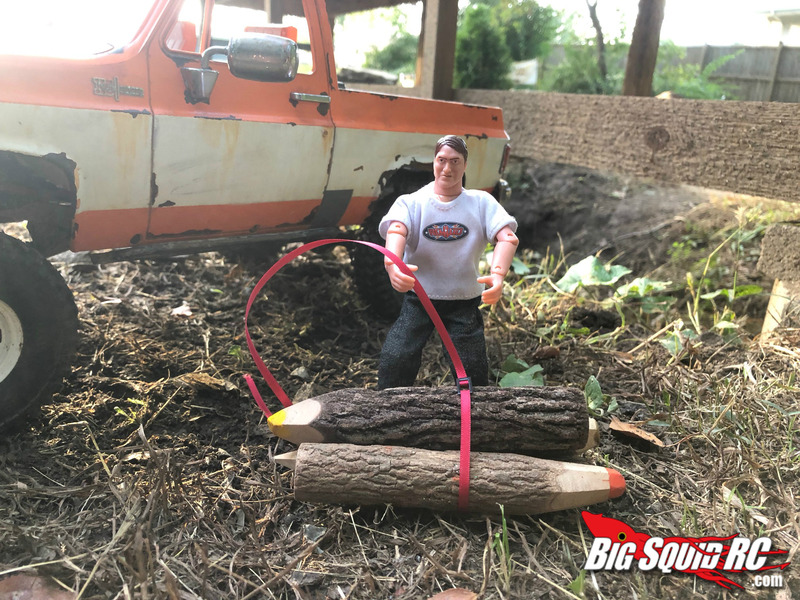 RC4WD SCALE RED TIE DOWN STRAPS « Big Squid RC – RC Car and Truck News, Reviews, Videos, and More! What’s going on everybody! 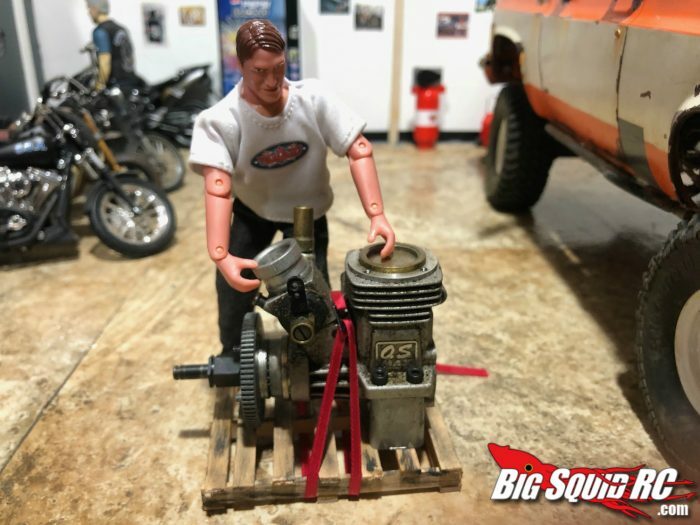 Jeremy here, I found a nice little scale accessory from RC4WD the other day at my local hobby shop. It’s nothing crazy, but hey, in the scale world small details are everything. I’ve been looking for some scale tie-downs for my Tamiya Globliner or anything for that matter. 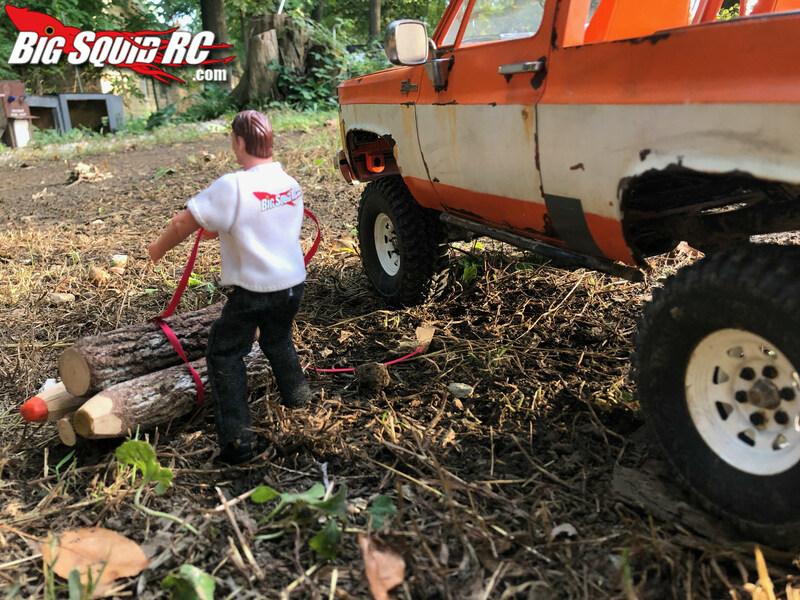 After some time digging through the scale racks at the hobby shop I found the RC4WD Tie Downs and knew they would just work perfect. The red tie downs are 15.7 inches long and have a metal buckle to loop the strap through. Not only are the straps scale looking but they are functional. 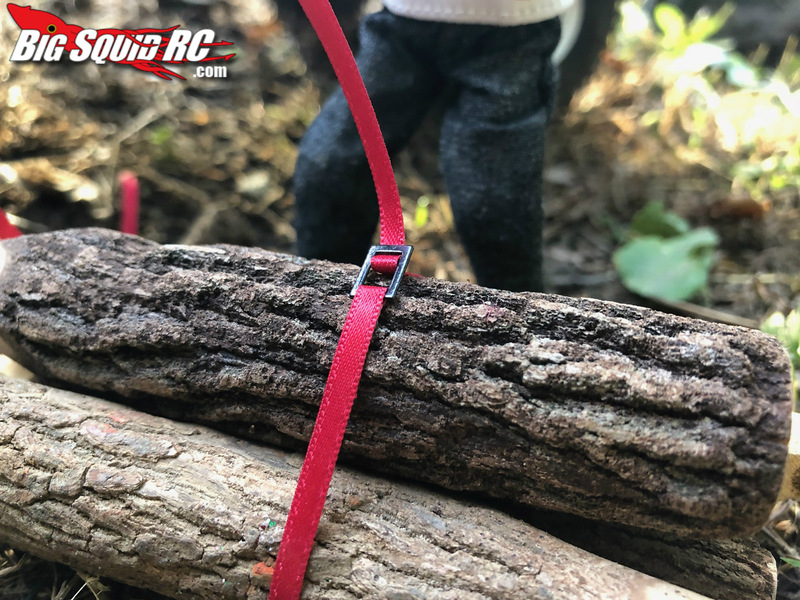 They definitely make for great photos and actually tying bundles of logs or strapping down your camping gear for your scale camping trip. You get four tie down straps in a package and for $8.99 it won’t break the bank. So if you’re in the marketplace for some scale tie down straps look no further than RC4WD they got you covered! 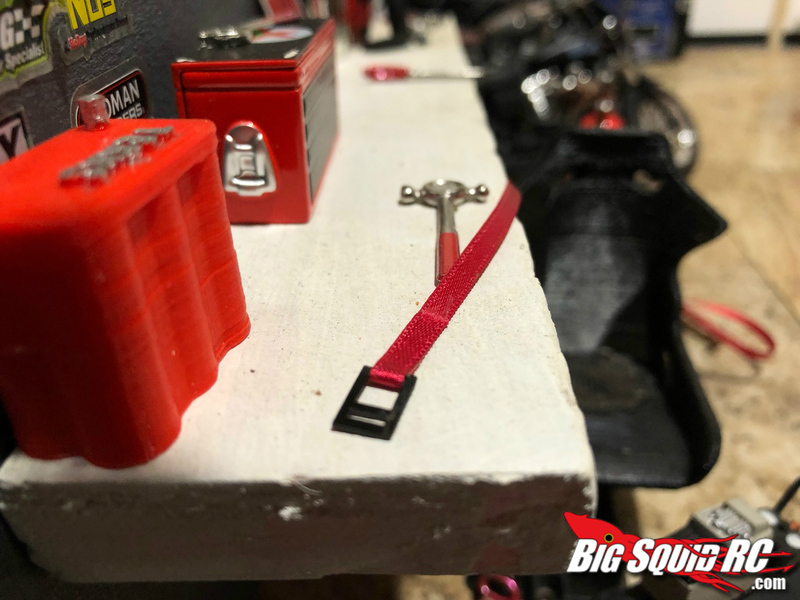 Get more details on the new RC4WD Tie Down Straps over on the official RC4WD website, or go here for more RC4WD News on BigSquidRC.